Our roster never fumbles when it comes to Super Bowl commercials. As we gear up for the big game this Sunday, take a peek at our favorite memorable ads we’ve worked on in the past. We’re psyched to see the new spots this year! This spot is one of our favorites! 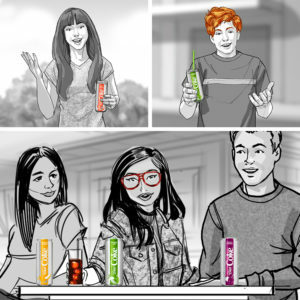 Check out the Heinz boards by Lyle Grant drawn for the 2D animatic edited by Tumbleweed Entertainment. This ad topped the charts in 2016, what will it be this year? 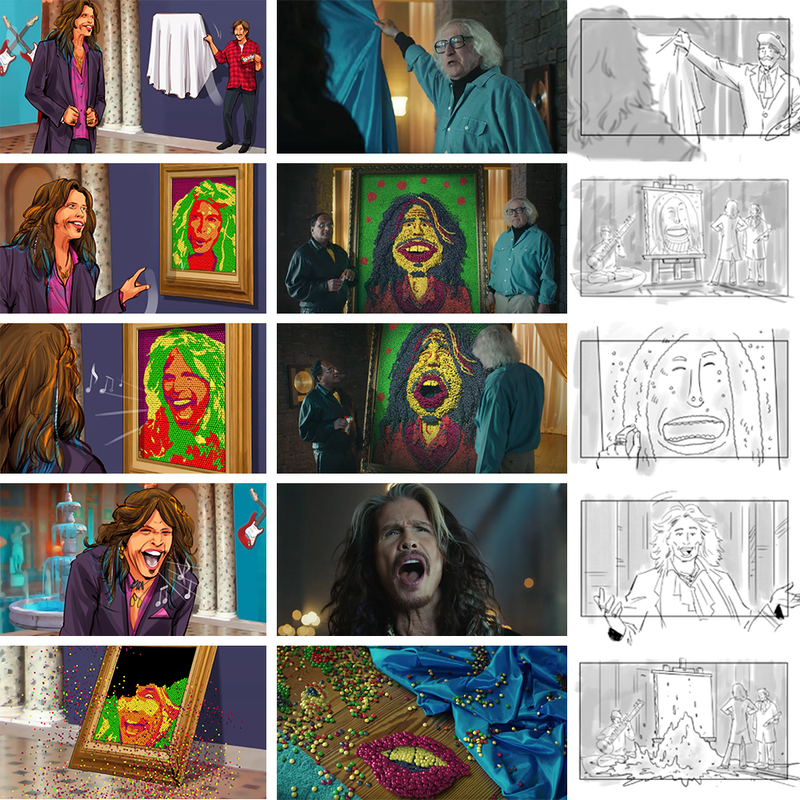 One of our favorites from 2016, featuring Steven Tyler in a hilarious spot with his portrait made from Skittles! Advertising boards by Angus Cameron (left) and shooting boards by Ken Perkins. A great spot by Pokemon, drawn by Bryan DeLoach. We love the spot coloring on these boards! Another fantastic spot from 2016. 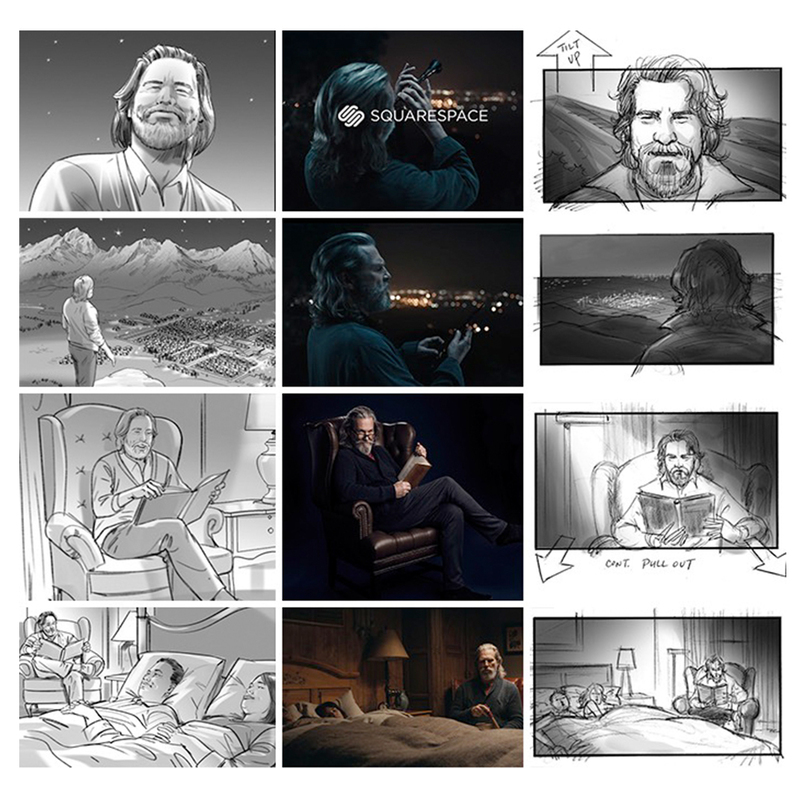 Squarespace featuring Jeff Bridges, with advertising AND shooting boards done by our artists! To the left, Lyle Grant’s advertising boards and to the right, Jiye Choi’s shooting boards. We can’t wait to see what their ad will be this year! On of our favorites from last year, this spot for Kia featuring the hilarious Melissa McCarthy with shooting board frames by Josh Hayes. 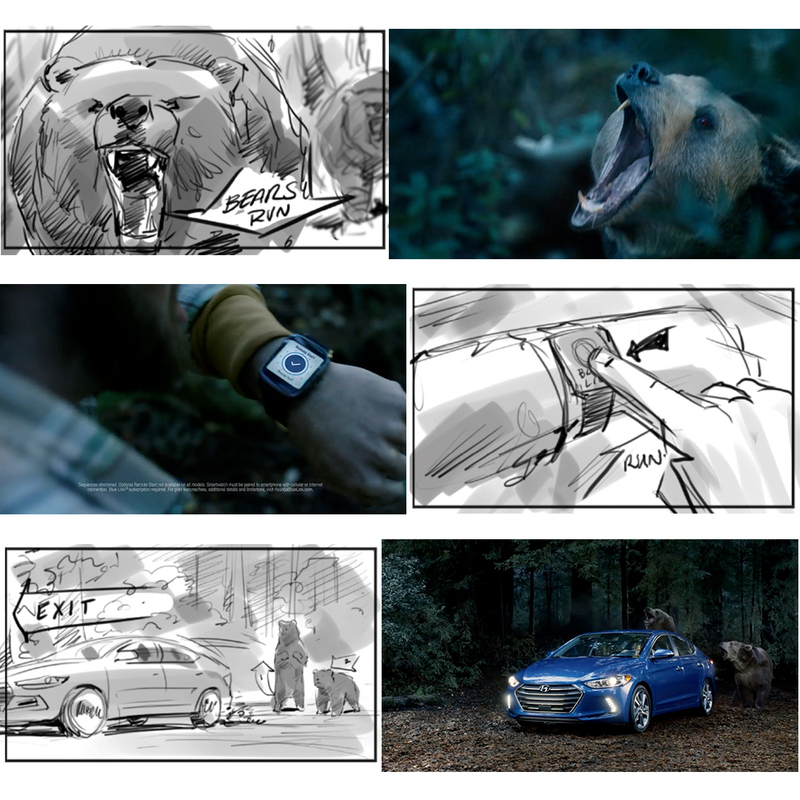 A great spot for Hyundai with boards by Lance Leblanc. We love this spot by Ford for Superbowl 2017. Peter Carpenter’s frames are fantastic! 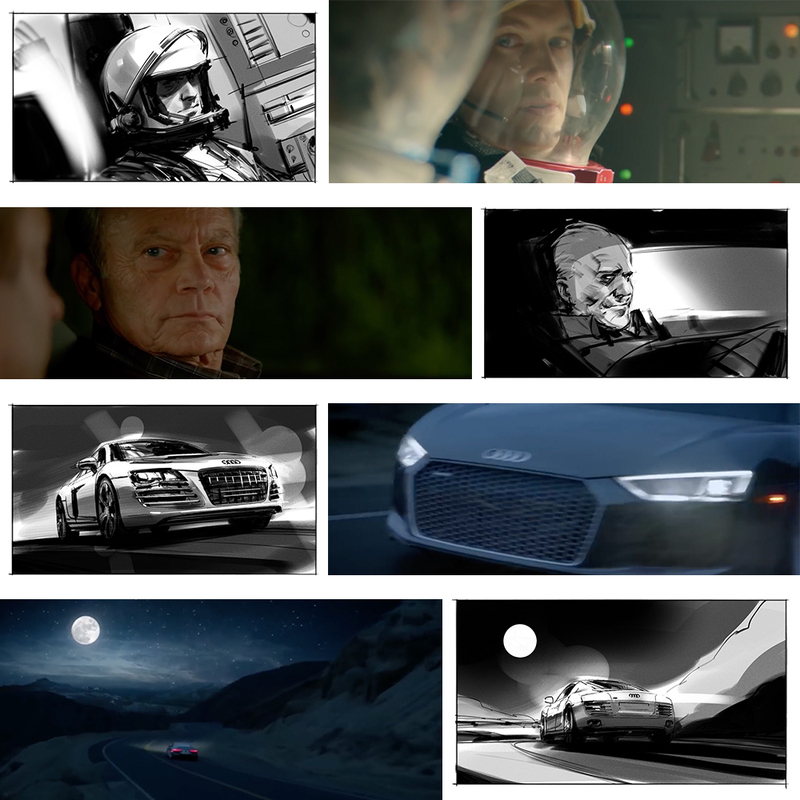 And the best for last…Audi’s spot featuring David Bowie is gorgeous and these cinematic frames by Dan Milligan are above and beyond. We can’t wait for Sunday, check back next week for our round up of this year’s best ads!